This post is part of a virtual book tour organized by Goddess Fish Promotions. Matthew will be awarding a $15 Amazon or B/N GC to a randomly drawn winner via rafflecopter during the tour. Click on the tour banner to see the other stops on the tour. Akarra knelt expectantly on the floor near the back corner of Yridia’s Cave. “Pattern matching is most important, dear,” Yridia said. “I know, Mistress Shardshaper,” Akarra replied, head bowed in deference. “You’ve told me so—many times—but I just don’t see the use of geometry.” She was tired; it had been a long training session and she still wasn’t through. The small but cozy cave—one in which she had spent many long hours engaged in study—had been hollowed out in the shape of a twelve-sided figure of exquisite design—a dodecahedron, it was called. It at once conveyed a sense of space, mystery, and power. Much like the element it represented: the ether. Each of the twelve faces of the shape formed a perfect pentagon—a five sided figure of further significance and meaning. The pentagon-shaped floor, of course, was made of clouded white quartz; the ceiling, clear. The pentagons on the walls alternated between white and clear. There were no cracks or fissures or blemishes; all the angles and divisions were neat, clean, and precise, thus regulating the temperature of the room perfectly. As Akarra perused the features of the cave, she felt contentment and peace, and her antennae glowed a pale greenish yellow in response. This was like a second home for her. She was the apprentice Shardshaper. One of the most respected members of the tribe. Akarra watched Yridia move to the center of the pentagon floor and squat down in front of her. Yridai’s yenshi robe billowed out and she produced a crystal of transparent blue quartz in the shape of a perfect tetrahedron. Her Heartshard. A piece of the Heart Crystal itself, the source of the Shardshaper’s power. Akarra could feel the Shard’s presence. 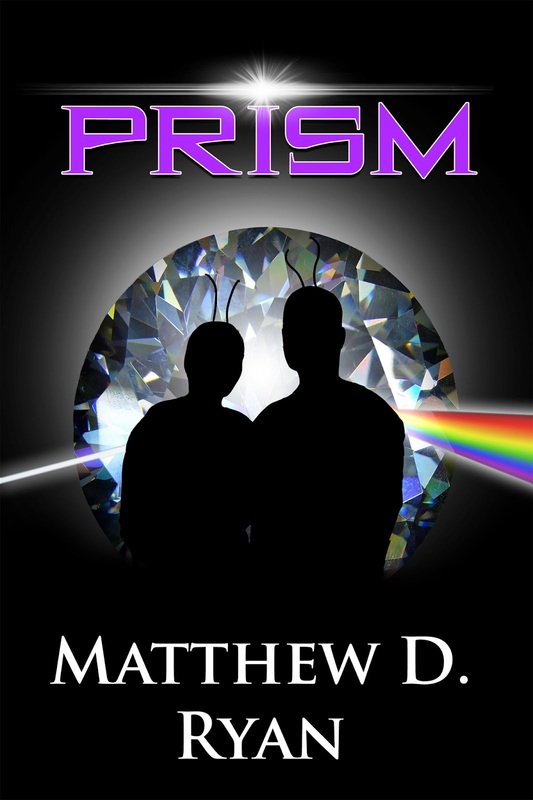 In “Prism” there are two “parallel” spectrums of light; one for inanimate properties, and one for animation purposes. What kind of advantage does such a separation provide?